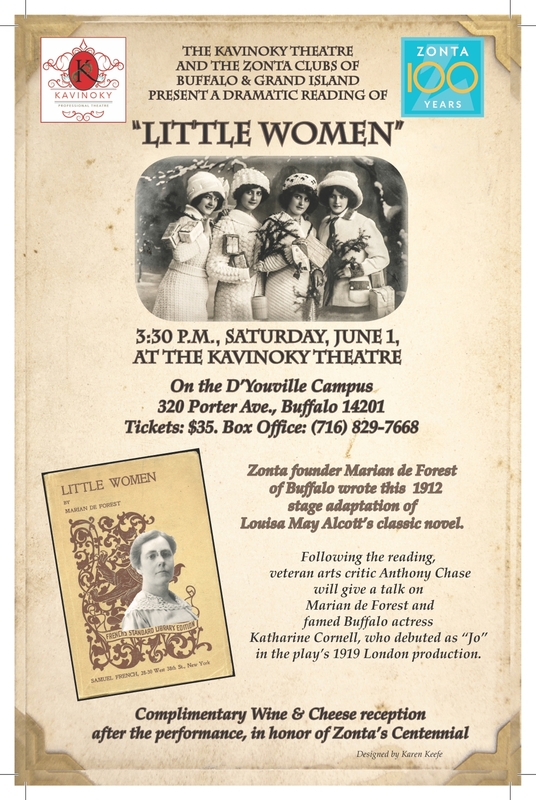 The Kavinoky Theatre and The Zonta Clubs of Buffalo and Grand Island present a dramatic reading of LITTLE WOMEN. Zonta founder Marian de Forest of Buffalo wrote this 1912 adaptation of Louisa May Alcott's classic novel. Following the reading, veteran arts critic Anthony Chase will give a talk on Marian de Forest and famed Buffalo actress Katharine Cornell, who debuted as "Jo" in the play's 1912 London production.